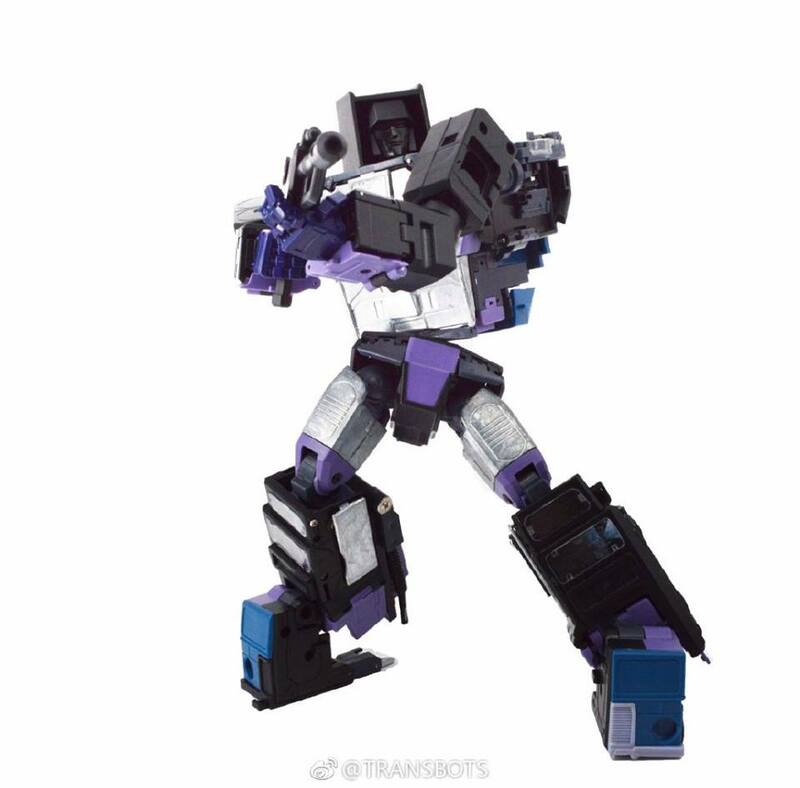 X-Transbots Weibo have shared images of their MX Gravestone (Masterpiece Scale G1 Motormaster) prototype for your viewing pleasure. 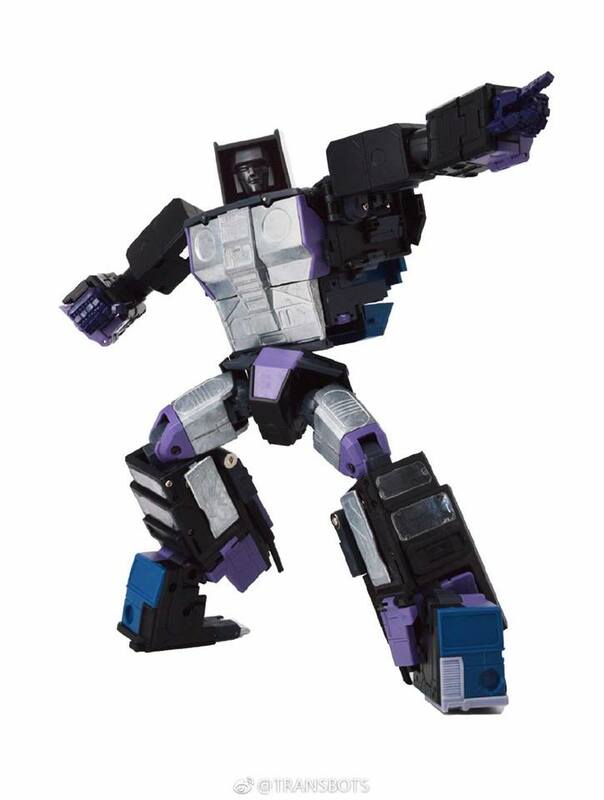 This is the last component of X-Transbots Monolith, their take on G1 Menasor. Gravestone looks fairly cartoon-accurate while taking some changes on the body. We think this could be due to the combiner mode. The images show it as a highly poseable figure and it will sure please fans who are collecting this Stunticon group. 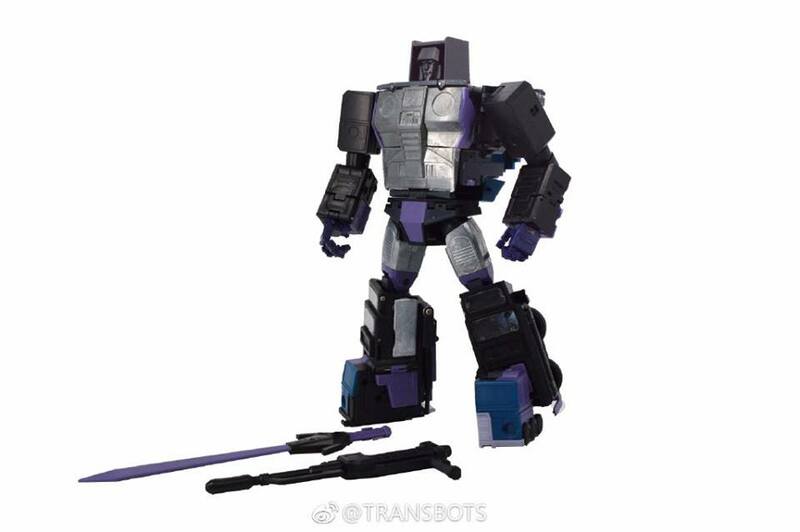 According to the comparisons images, Gravestone is a bit taller than MP-10 Optimus Prime and other X-Transbots Stunticons. We are yet to see images of the full colored mold and the alt and combiner mode. Click on the bar to see the mirrored images on this news post and then join to the discussion on the 2005 Boards! my biggest issue and really only issue with FT RK is the scale, no Decepticons should be bigger than Megs right? Besides combined mode I mean. FT MP scale figures seem to be slightly OS. Its a small issue but its also one of the main reasons I like Gravestone. Yeah, Meg was one of the tallest, definitely strongest decepticon from S1-2. 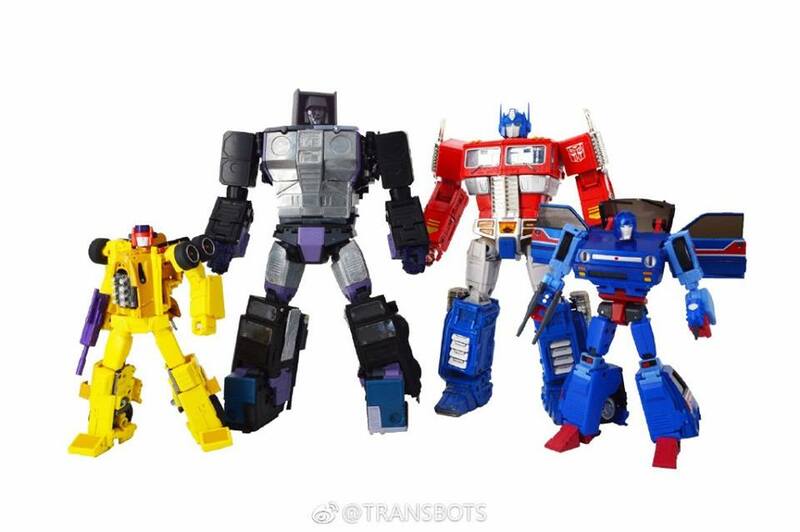 Dont remember if the triple changers were same size or whatnot, but probably not many were taller anyways. I like the scale of the XTB limbs because i can have them in the front as carbot size, and then have my tall Megatron / Soundblaster / etc.. in the back, and the ones in the back wont be too hidden. That said, i like the look of the bot mode, and the facial expressions of the FT better. So if XTB could make some alternate facial expressions, that would be awesome. I have no idea what the height of Gravestone will be, is this known? If not, maybe ibot or the designer 598 can shim in. I suspect it wont be too different than the FT version. I think either should work for me, they will both be tall enough. The price of the XTB is unknown though, so it may potentially only be 10 – 30 $ different, i guess. 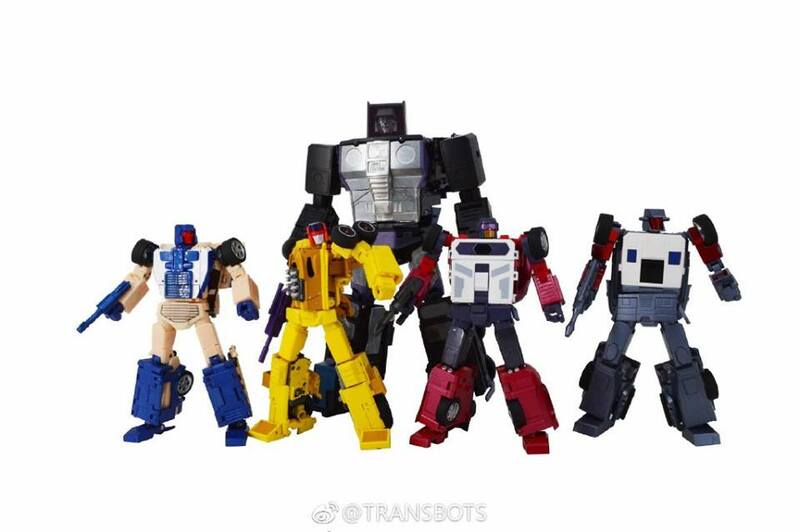 I personally dont mind the leader of the S1-2 combiner (combaticons and stunticons to be more precise) being taller than Megatron, especially for a decepticon only shelf. The constructicons were all same size though. He was only for one episode! I don't care about back story for fucks sake. I don't care about Skyfire in general, please move on. So you want an example from s1 or s2 but only if it was more than 1 episode because it breaks your preference? It's not a necessity, but as I said I recall no Con being bigger than Megs in seasons 1 and 2 and that scale is how I remember them most, not comics or head canon. I love Sixshot and Overlord, I don't mind either one being bigger than him because they both were. And as no one has yet to answer the question Ill assume I'm correct. Blitzwing looks a little taller than Galvatron (ignoring the head crest/crown/whatever), even being a few steps back. So there's at least an argument that Megatron wasn't the "biggest", but with margins that small and Sunbow's complete inability to be consistent, it'd be just as viable to go on being convinced Megatron is the biggest broham in S1-2. It's really tempting to get Roadking as a standalone MotorMaster. Now would be a perfect time for @ibot to give us an awesome update on Gravestone to keep me strong! 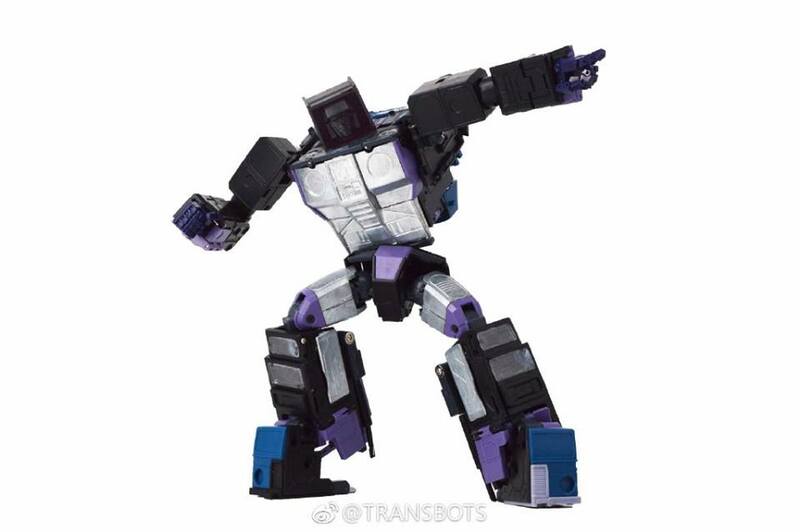 On another topic, Dragstrip looks really awesome. The transformation looks different enough but quite intuitive. I can hardly wait! Yup…I see myself maybe getting a FT MM too and sooner rather than later. Any chance of doing a evil smirk face for Overdrive as an additional face, like the FT version? I am sure 598 would be more than happy to do the design for you. It would give Overdrive ALOT more character. 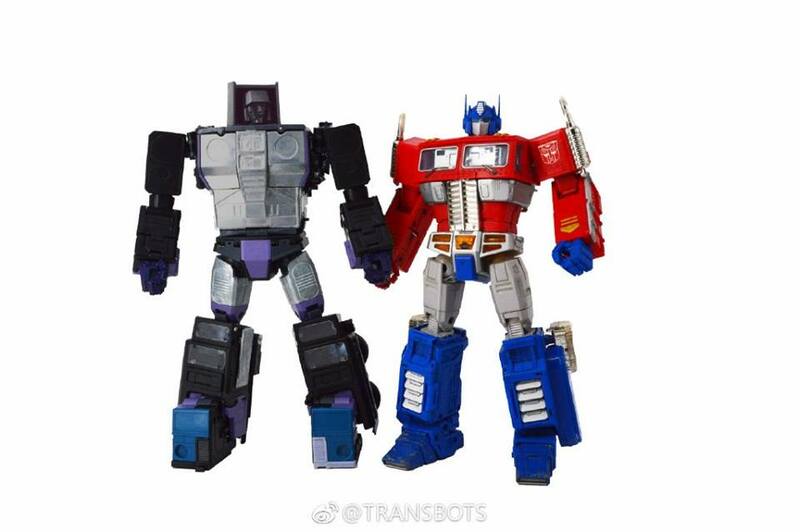 I would gladly buy an upgrade kit with Angry / Smirking face Overdrive and for the first 2 members, and for MM. Seriosuly, additional face expressions is the best accessory after the gun, and would be most welcome. Major +1! I'd love a set of alternate expressions for the 3 limbs with mouths to come with Gravestone! And we definitely need at least a couple of expressions for Gravestone, much like FT has with Roadking. Extra faces and the vehicle (toy), cannons would be an awesome accessory pack! I know the cannons are likely already coming but I'd like more faces too lol. He was a scientist with Starscream on Cybertron and therefore was technically a Decepticon for millions of years. Again are any Decepticons taller than Megatron is Season 1 or Season 2? I don't care how long Skyfire was a Decepticon, this isn't head canon. He was a Con for only one episode (in the show), I don't even care enough about the character to purchase him officially or 3P let alone MP scale, completely missing the point. I believe Blastoff may have been taller. This is only a transitive guess based on his height in relation to the other Combaticons, and theirs in relation to Starscream. As always, there is likely a screen cap that proves me right, and one that proves me wrong. I've never understood the idea that a leader needs to be the biggest. That not how it works in most societies, why should TF be different? Megatron never appeared on screen with any of them. I mean specifically Season 1 and 2. Eh, a Decepticon for one episode? Not the point I was making. May not have appeared onscreen with them, but canonically they were around during seasons 1 & 2 (well maybe not overlord) even if not on earth. He was a Decepticon for alot longer previously than the one episode you saw in the cartoon and was still always taller. If that's your head cannon it's fine but you'll probably find most ppl will disagree. Wouldn't be surprised if Straxus was bigger too. If they're going to do an add-on kit, I hope it contains the G1 toy style heads (normal sized not tiny obviously) and the backpack laser cannons for the cars. Skyfire? He was a Decepticon. Not a rule I personally follow. Very happy to wait till we see a finished gravestone before making a judgement on what one looks better, ft roadking is great but ft figures are not cheap and that is always a big factor for me, but as I've said before once the rest are released if they end up looking better I may double dip.